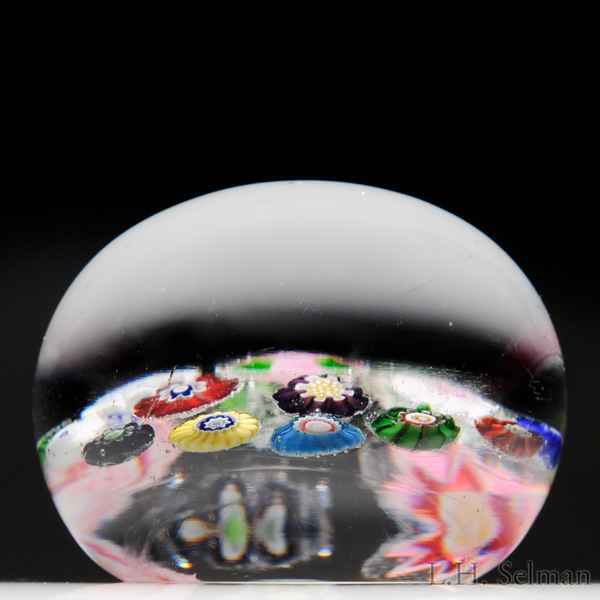 Antique Clichy spaced concentric millefiori paperweight. 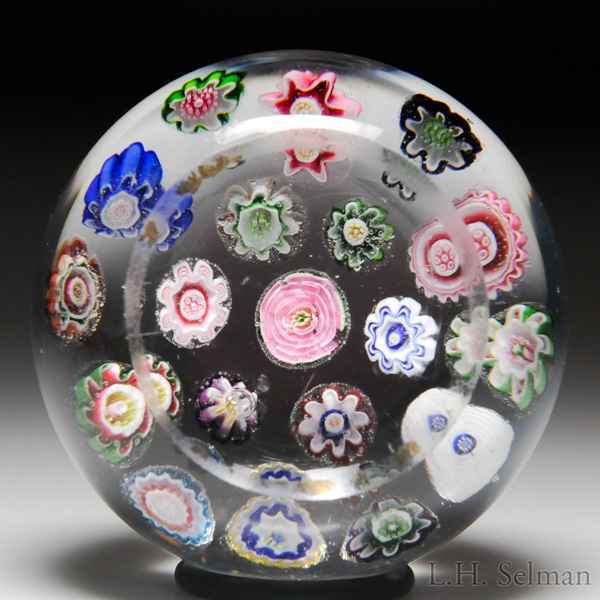 A central iconic pink and green rose is encircled by spaced white, red, green and purple pastry molds and then by one more ring of spaced pastry molds and complex canes, including a blue-centered white rose. Clear ground. Good condition. Diameter 2 11/16".